SONORITY is a triannual event geared at supporting the upcoming talents through giving them opportunity to showcase their talents to a large audience of all works of life. 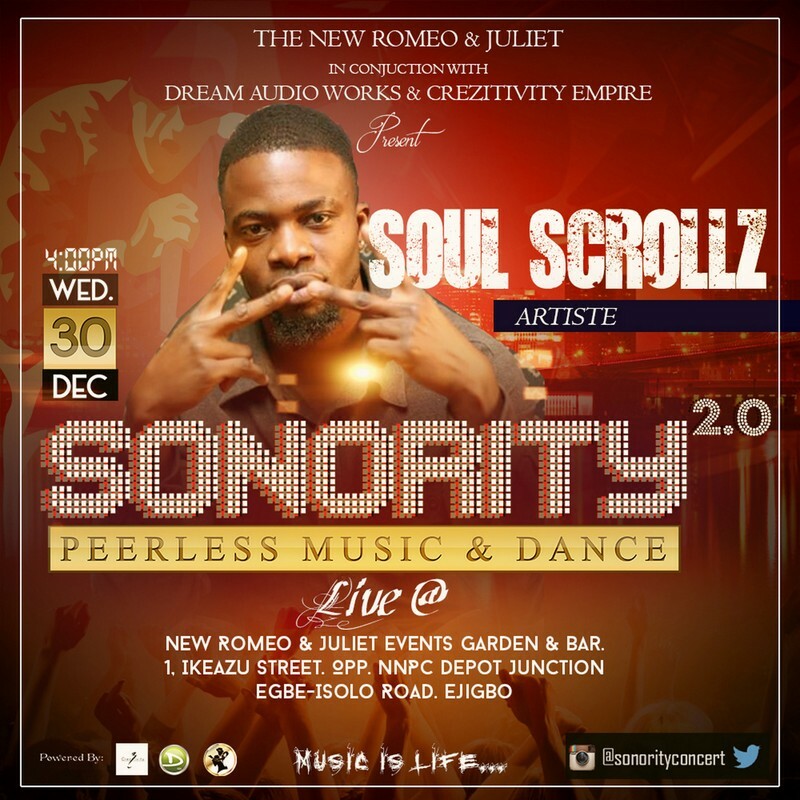 The event is put together by Dream Audio Works and Crezitivity Empire in conjunction with the New Romeo & Juliet Bar and Event Centre, this event promises to be the best talent-showcasing event ever witnessed by music lovers around Ikotun, Ejigbo, Isolo area. 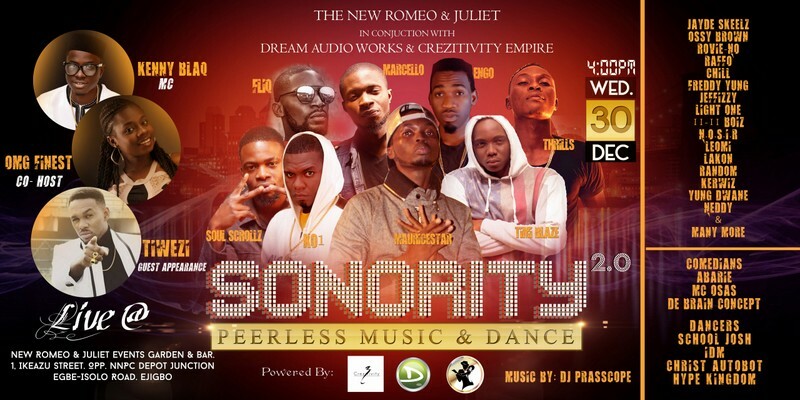 It’s fully packaged with lots of exciting performances by Artistes, Comedians & Dancers. Anchoring this first edition of Sonority 2.0 is one of Nigeria’s finest comedians Kenny Blaq. Artistes featuring are Soul Scrollz, K01, Fliq, Marcello, Engo, Thrills, Timi Blaze, MauriceStar & many more. The event is proudly supported by MrsHustle Magazine.